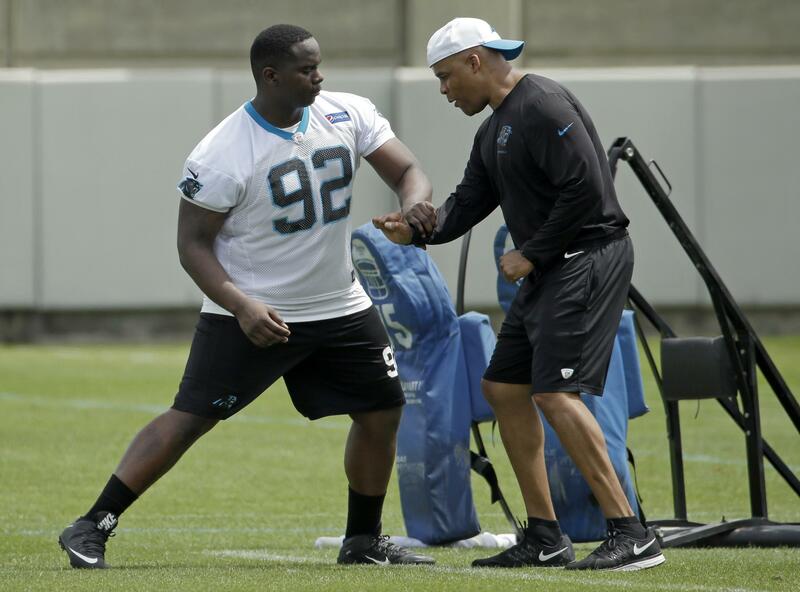 CHARLOTTE, N.C. – Eric Washington has been named the Carolina Panthers new defensive coordinator. He will replace Steve Wilks, who was hired earlier Monday as the next head coach of the Arizona Cardinals. Washington has served as the Panthers defensive line coach for the past seven seasons. During that span the Panthers defensive line has recorded more sacks (219) than any team in the NFL. Wilks’ departure, which coach Ron Rivera said he expected after the season, means the Panthers will have three new coordinators next season. Rivera fired offensive coordinator Mike Shula two days after the season and replaced him with Norv Turner. Special teams coordinator Thomas McGaughey was replaced by former assistant coach Chase Blackburn. McGaughey’s contract was up and he wanted to pursue other options. Published: Jan. 22, 2018, 6:38 p.m.